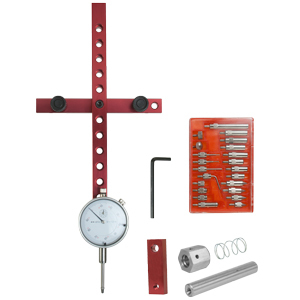 Most woodworkers already have a dial indicator laying around the woodworking shop, either on some sort of gauge set that never worked the way you thought it should or tucked away in the tool box waiting on a good way to use it. 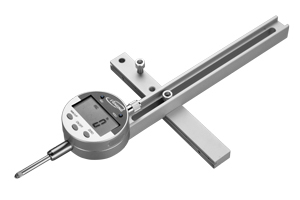 Add your shop dial indicator to the A-Line-It Smart Bar System and you get the perfect tool alignment system for hobbyists and small shops. Self-adjusting "Smart Bar" so the perfect fit in the miter groove is automatic. On a table saw, it will allow you to test table saw alignment, arbor shaft run out, saw blade run out, rip fence alignment, and fence straightness. 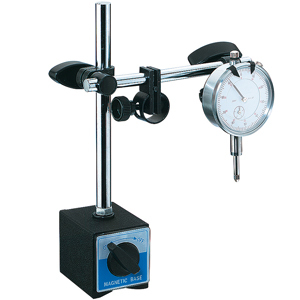 Works with digital and standard 1" capacity dial indicators. The A-Line-It Basic was selected as the "Top Value" in the WOOD Magazine article that compared woodworking machine alignment tools. 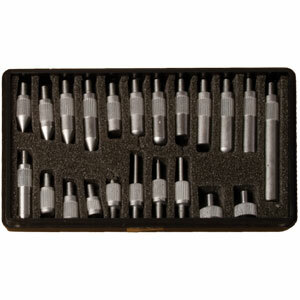 • The perfect tool alignment system for hobbyists and small shops. The 1" capacity dial indicator reads in .001" increments for absolute precision. 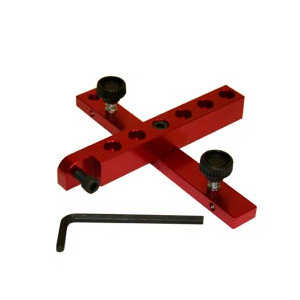 •Self-adjusting "Smart Bar" so the perfect fit in the miter groove is automatic. • Leveling knobs adjust for any miter groove depth. • On a table saw, it will allow you to test table saw alignment, arbor shaft run out, saw blade run out, rip fence alignment, and fence straightness. 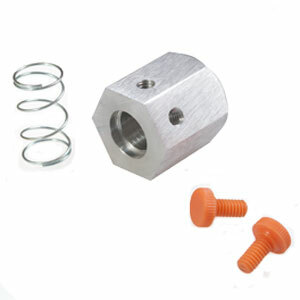 The Arbor Spring and Nut Kit can be added as an accessory to the Standard A-Line-It or A-Line-it Smart Bar in order to test for arbor and saw blade run-out. Rotate the arbor, but not the blade, the deflection of the pointer on the indicator shows the run-out (near the teeth) that is caused by the run-out in the arbor flange. Rotate the blade, but not the arbor, the deflection of the pointer on the indicator shows the run-out of the blade. It is recommended that you use the miter groove on your saw that is opposite the saw blade nut, in order to have room to get your hand near the arbor without interfering with the dial indicator. The A-LINE-IT DELUXE was reviewed in the December 1995 Issue of WOOD Magazine, and received “5 Star” ratings for Performance and Value. After you’ve used the A-LINE-IT DELUXE, you’ll know these ratings were well deserved.